The Girls Scouts of America accused the Boy Scouts of a "covert campaign to recruit girls into programs run by the Boy Scouts," in a strongly worded letter. The document, sent on Monday and obtained by BuzzFeed, states that it is the belief of the Girl Scouts that the male organization is trying to get girls to sign up with them to boost their severely declining numbers and in order to appeal to the kids' millennial parents. "Through various means we have learned that BSA is very seriously considering opening their programs to girls and we have made repeated efforts to engage with them ad talk about the implications,” a GSUSA spokesperson told the news site. "It's a potentially dangerous and bad idea." Neither the letter or the GSUSA spokesperson said what programs the BSA is accused of proposing to young girls but the note, written by Girl Scouts' national president Kathy Hannan, did say that that BSA was "surreptitiously testing the appeal of a girls' offering to millennial parents." "It is inherently dishonest to claim to be a single-gender organization while simultaneously endeavoring upon a coed model," Hannan wrote. "We are confused as to why, rather than working to appeal to the 90 percent of boys who are not involved in BSA programs, you would choose to target girls." The Girl Scouts president went on to say that it was their assumption that the Boy Scouts were recruiting girls because enlistment is so low and young women could potentially bolster the boys' "declining membership." A BSA spokesperson responded to the GSUSA's accusations to BuzzFeed, as well, saying that no decisions have been finalized in regard to bringing girls on board. 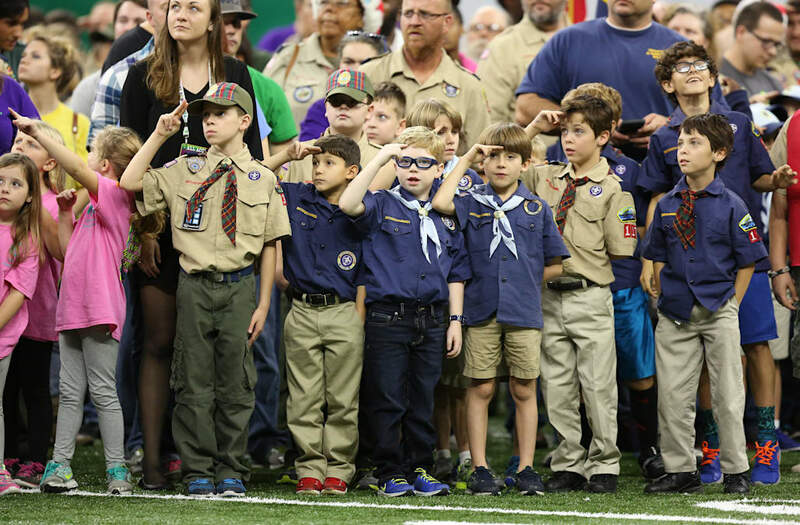 "Based on numerous requests from families, the Boy Scouts has been exploring the benefits of bringing Scouting to every member of the family - boys and girls," spokesperson Effie Delimarkos said in a statement. "No decisions have been made." "After months of trying to engage leadership from the Girl Scouts organization, BSA leadership spoke with GS leadership earlier this month to identify potential areas of opportunities for alignment in the future," Delimarkos said. Girl Scout president Hannan's letter had a suggestion for the Boy Scouts in lieu of any cross-recruiting or future alignments. "Rather than seeking to fundamentally transform BSA into a co-ed program," she wrote, "we believe strongly that Boy Scouts should instead take steps to ensure that they are expanding the scope of their programming to all boys, including those who BSA has historically underserved and underrepresented, such as African American and Latino boys."